We’re looking for a few high-caliber self-starters who want to earn money helping us teach Genius Bootcamp. 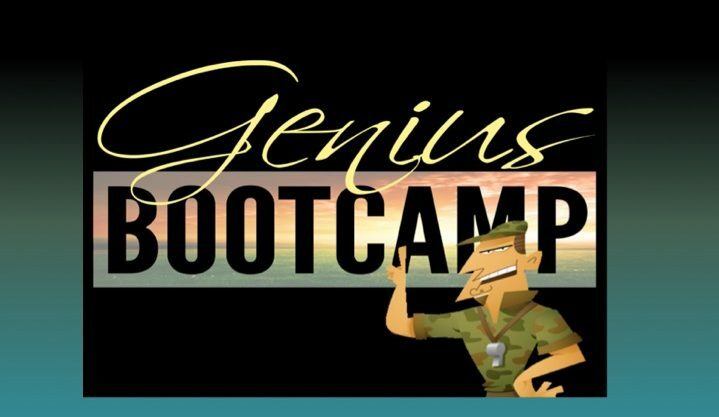 Genius Bootcamp is a wonderful way to make a difference, while internalizing the powerful principles of Rare Faith that can help you achieve your own goals. It’s also a platform where you may introduce my readers to what YOU have to offer as well, subject to approval. Policies and terms subject to change without notice. Once all of the requirements have been met, you will be interviewed. An additional Facilitator’s meeting or teleclass may be required prior to certification. Facilitators are responsible for filling their Bootcamps, but we do try to help by announcing the events in our newsletter. Facilitators may receive between $95-$220 for every regular paid attendee who registers through our website, or up to $297 per student when they collect and process payments themselves. Let us know if you are interested in joining the team! By completing this no-obligation form, you will receive our Rare Faith newsletter, and be notified when there are updates related to any of the above trainings. We cannot guarantee your success, and we do not guarantee that every person who completes the requirements will be accepted into the Facilitator program. Those who do qualify and who are subsequently accepted will ultimately carry the responsibility of filling and putting on successful and profitable events. Events may have as few as 5 participants, or up to 20. It is the facilitator’s responsibility to provide the location and standard class materials for each participant, and to obtain the items on a list of teacher’s tools and materials. Facilitators are independent contractors for Thoughts Alive LLC, and do not work as employees.